Room 205, Facultat de Filosofia i Lletres, UAB. Language switching effects on cross-language phonetic interference. Beyond transfer? 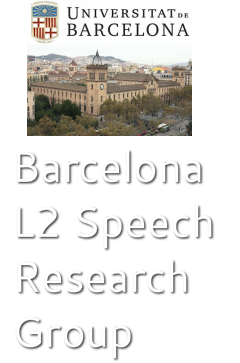 Re-attunement in L3 speech perception. The role of attention in high variability phonetic training. Pronunciation learning through captioned video: what are the skills needed for pronunciation improvement? - General discussion and further questions. - Upcoming meetings in July and September.